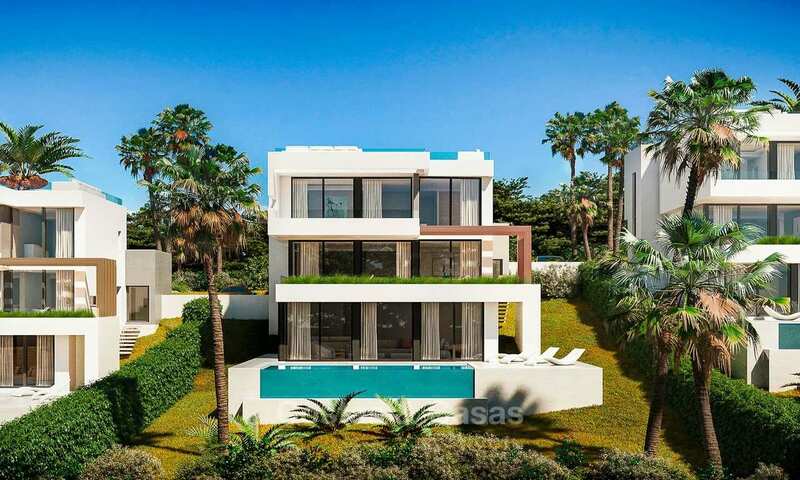 Front line golf to one of the finest golf complexes in Europe, between Marbella and Malaga, surrounded by no less than three 18-hole championship courses! 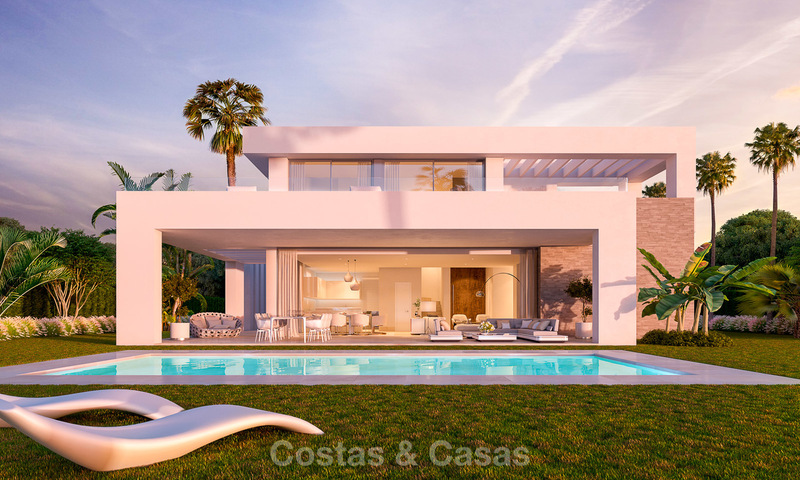 Just a short 9-minute drive to local amenities and a 15-minute drive to the lovely beach side town of La Cala de Mijas. Regional hotspots Fuengirola and Marbella are a 25 and 30 minutes away by car respectively. 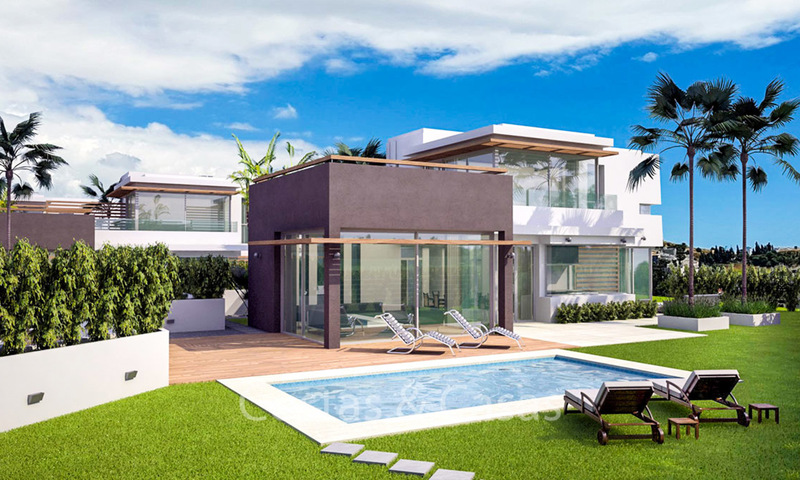 New, exclusive complex of 10 modern, contemporary-style luxury villas and 20 townhouses (for the Townhouses, see our Ref number…. 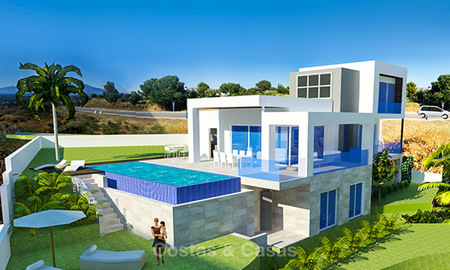 ), nestled in the hills of La Cala, offering panoramic scenery of mountains and golf. 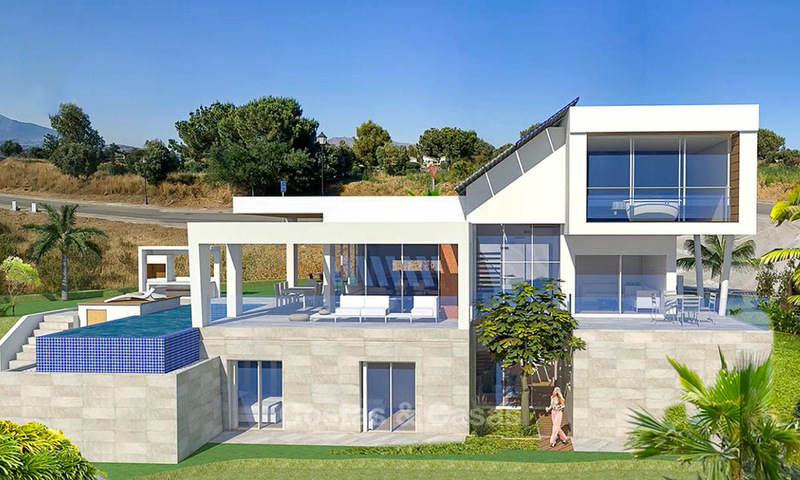 This is an eco-friendly project which focusses on energy efficiency and closeness to nature. 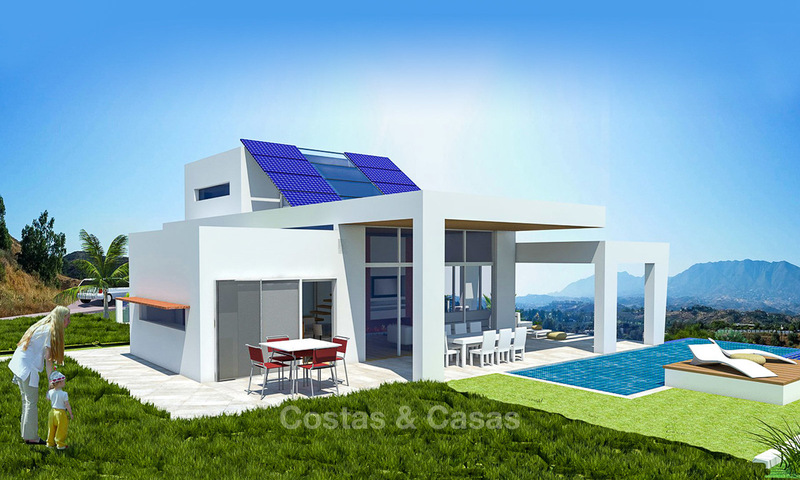 The construction adheres to the basic principles of ecological and bioclimatic architecture. All villas come with private plots with garden and pool surrounded by communal areas for sports and relaxing walks. In addition, the adjacent golf complex offers a wide array of facilities such as restaurants, bistros, spa and wellness club, hairdresser, football pitch, fitness area, tennis and squash facilities, running circuit. 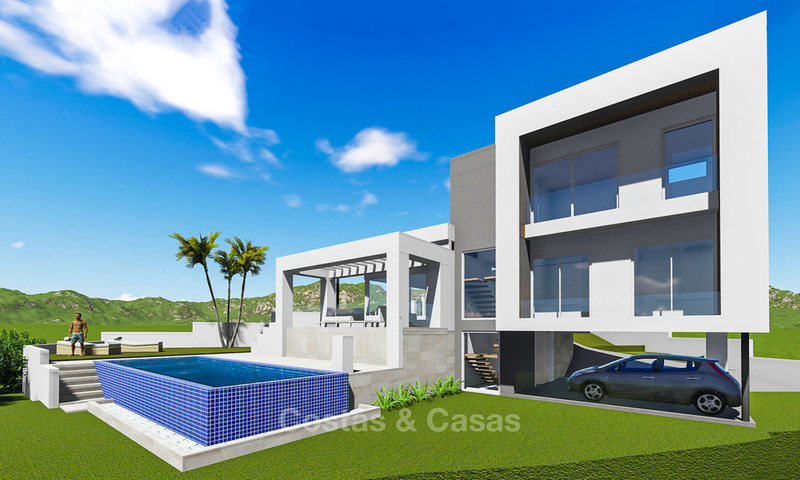 Choice of 3 villa types, all built over 3 floors, in modern, open plan design. Construction time takes about 8 months.